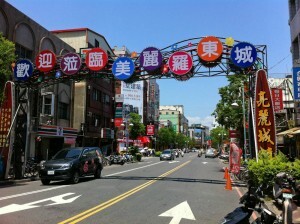 We took a bus to Luodong and decided to stay there simply because night market there is bigger than the one in Yilan :-). 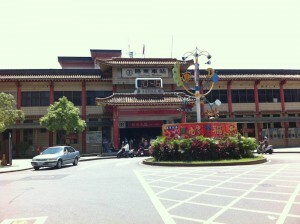 Bus ticket to Luodong/Yilan is around NTD 130, round trip ticket can be cheaper. 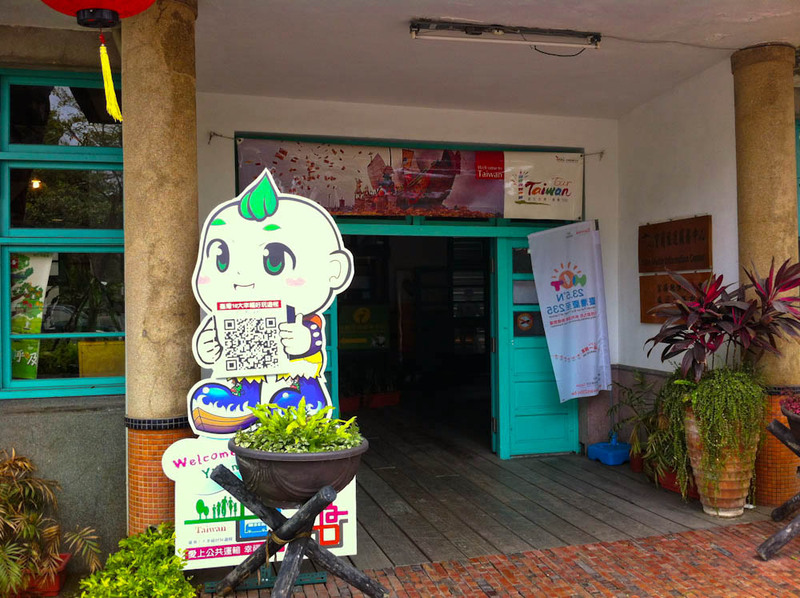 Once arrived in Luodong, our first stop was: Visitor information center! 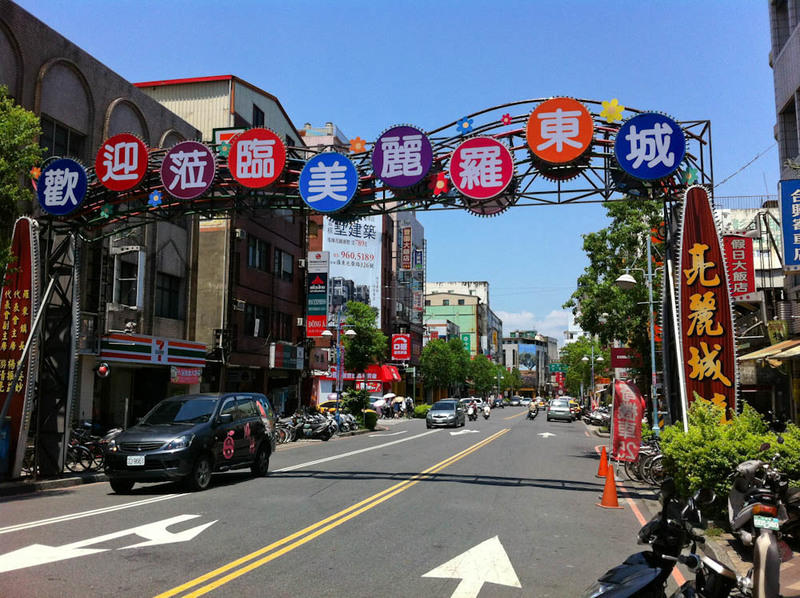 One of the best thing of travelling in Taiwan is the abundant number of its visitor centers. 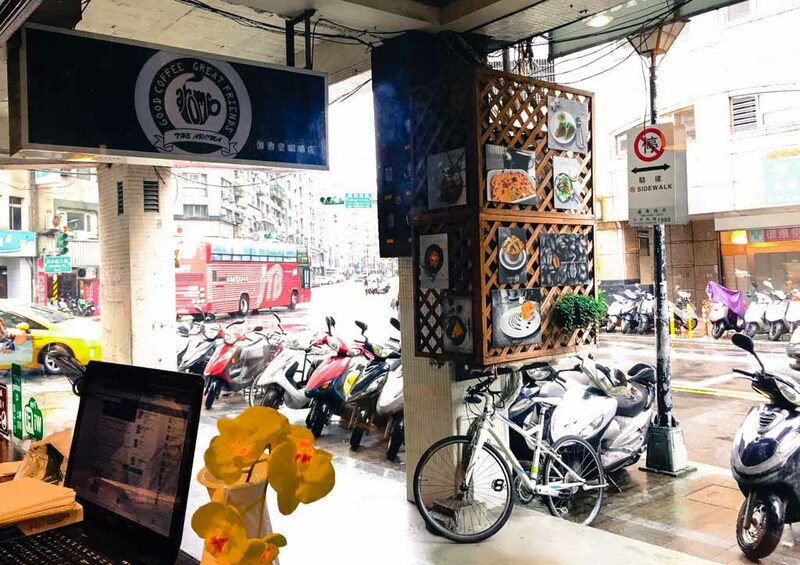 After its good campaign with “Taiwan Touch Your Heart”, Taiwan Tourism Bureau has started a better one with slogan “Taiwan The Heart of Asia”. Well, a lot of countries or cities also make very good slogans, so what’s the difference? For us, it is its countless visitor information center. 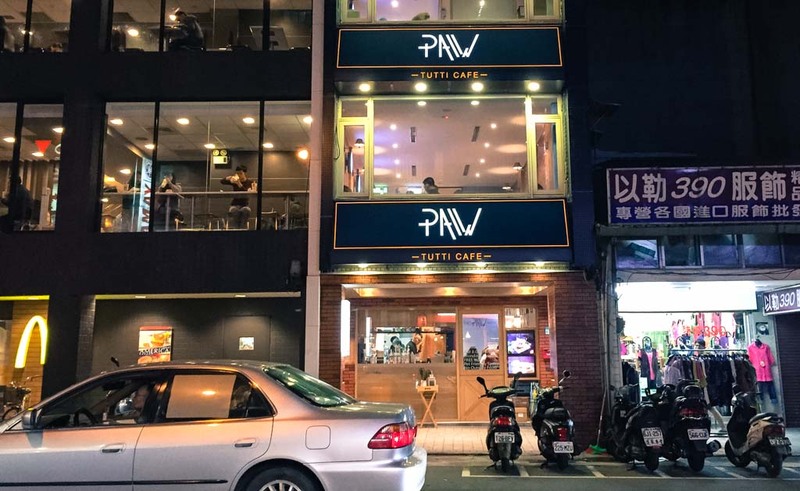 In Taiwan, you can easily find this yellowish building near not only airport and train/bus station but also most tourist attractions. 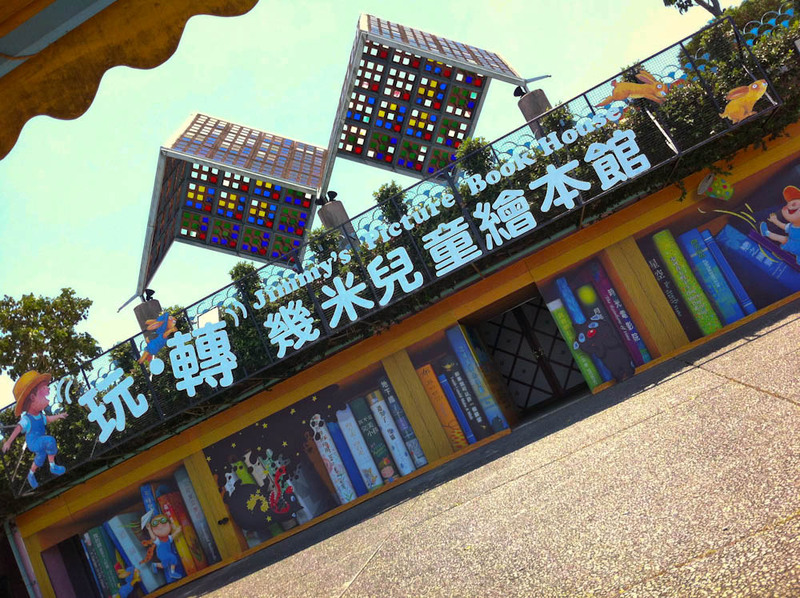 They offer brochures and tourist maps in multiple languages: Chinese, English, Japanese, Korean, Spanish and some other languages. There are also some nice staffs who will happily give us additional information and advice. And, yes, you can speak English with them! Someday, maybe we will write more regarding this campaign. 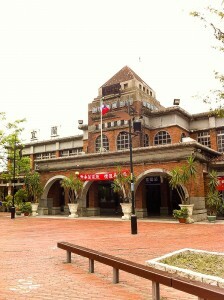 We went to Yilan Visitor Information Center, located right beside Yilan Train Station. It’s lunch time and we decided to have our lunch before going to our first destination. 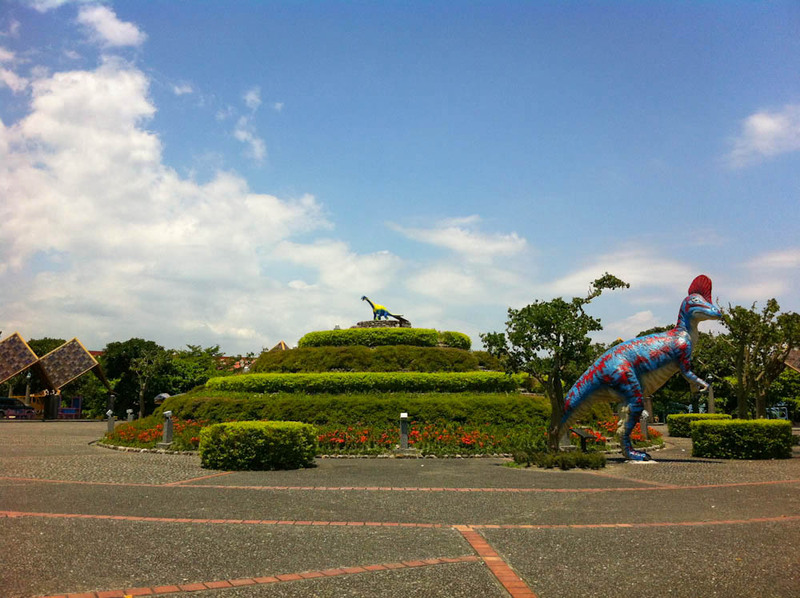 Our first destination was Lanyang Museum (蘭陽博物館) that has nice architecture and wide open space. 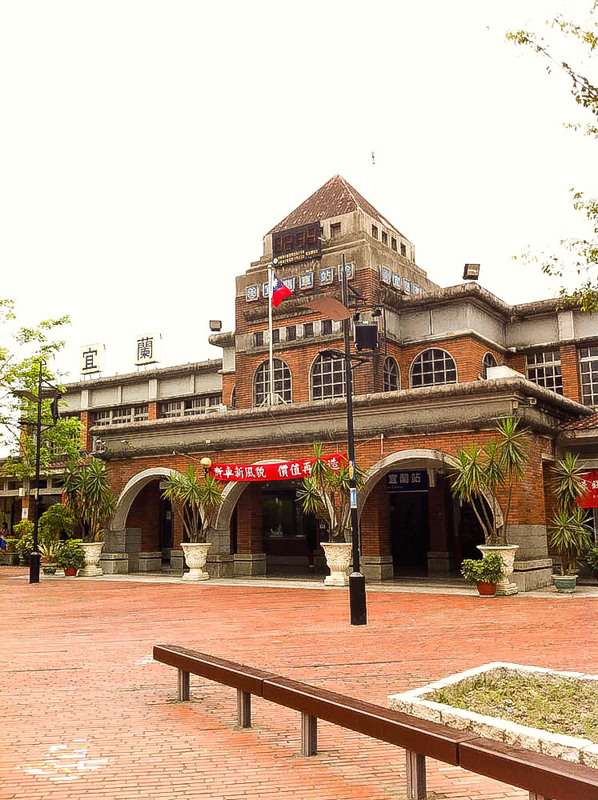 This museum tells many stories about Yilan. 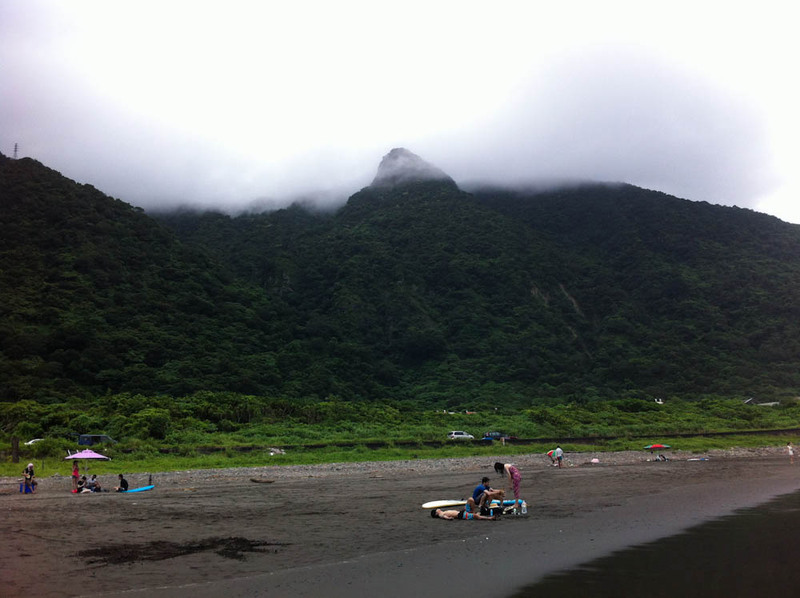 A exhibition of a harmony between the mountain and the ocean, it says. If you wonder, why there is a lot of dolphin decorations inside the museum, it is because there are a lot of dolphins in Yilan’s ocean (or Pacific Ocean, to be correct). 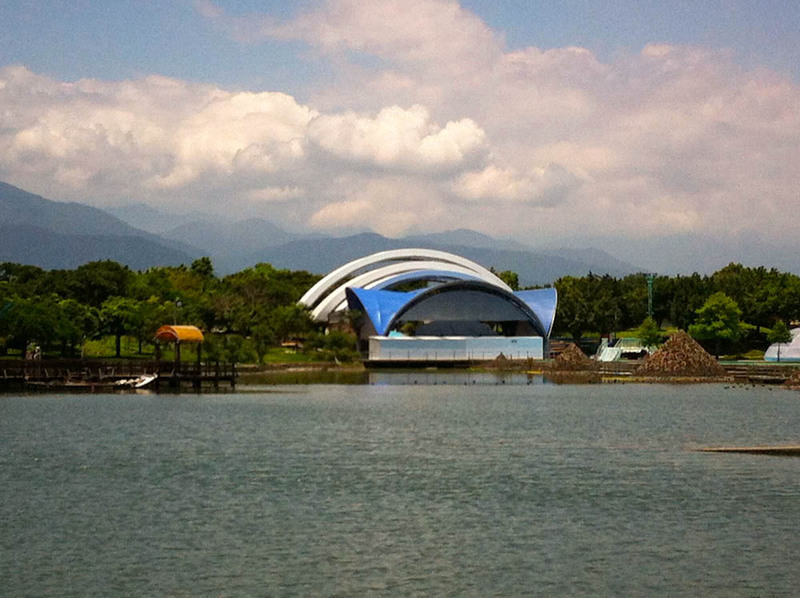 You can go for a dolphin watching trip by taking a ferry just in front of the museum. 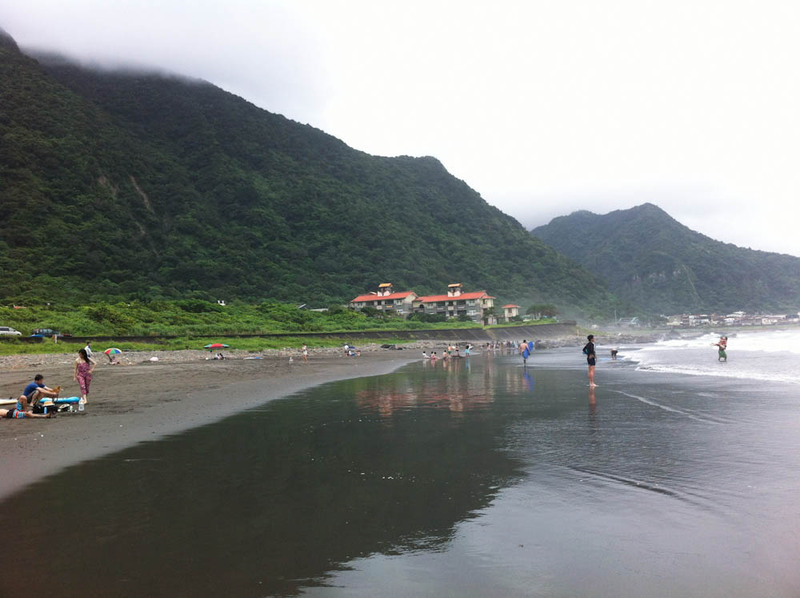 We continued our journey to Yilan’s Honeymoon Bay (蜜月灣). 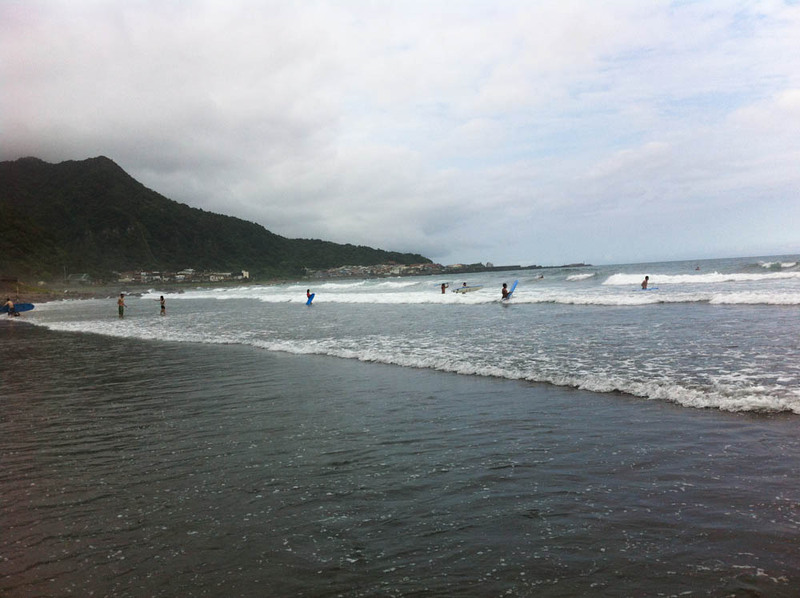 It is surely not a place for your honeymoon, but if you love to surf, you should visit this beach. You can clean yourself in the temple nearby afterwards. 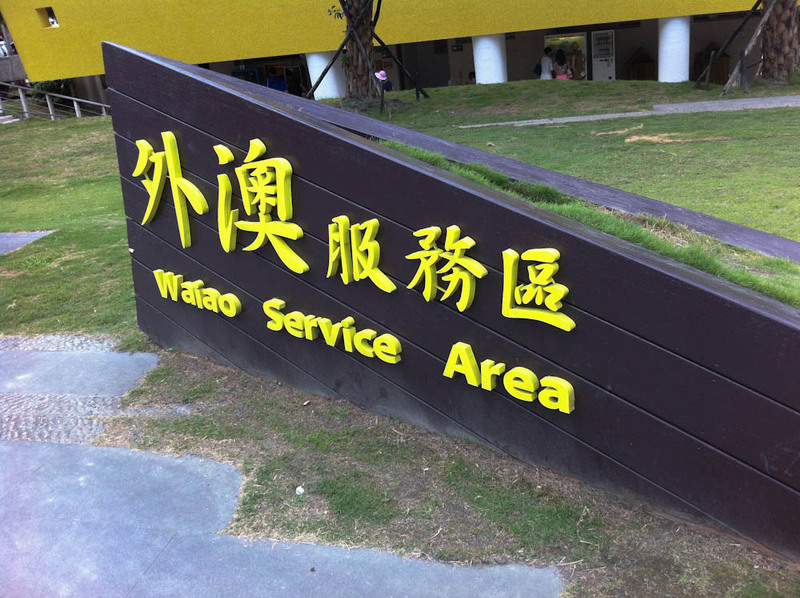 If you are tired in the middle of your journey to or from Honeymoon Bay, you can make a stop at Waiao Service Center (外澳服務區) and rest or play a while. Did we mention that you can do paragliding in Yilan? Yes, you can and if you do that, most likely, you will also land here. 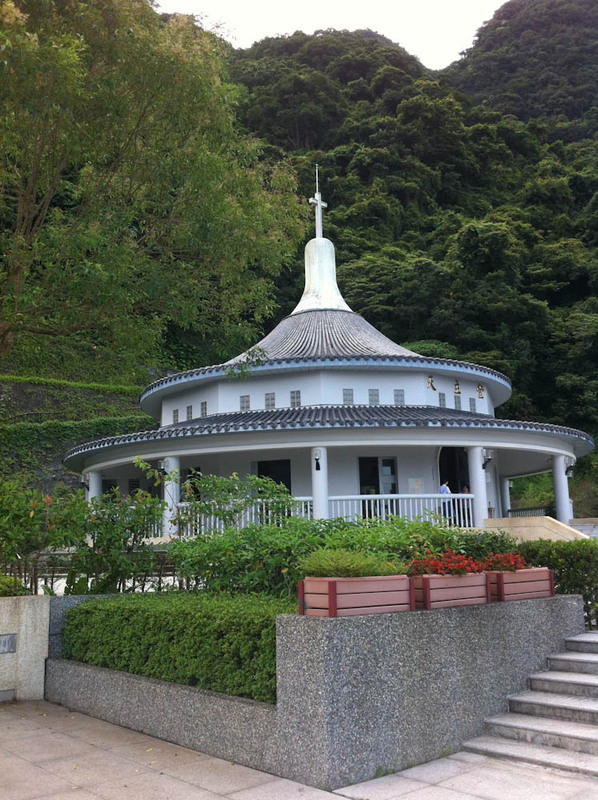 From this service center, you can also see Turtle Island, also known as Guishan Island, on the other side of the sea. If you plan to visit this island, be sure to come between March and November. To visit this island, you also need to apply an entrance permit one week in advance. 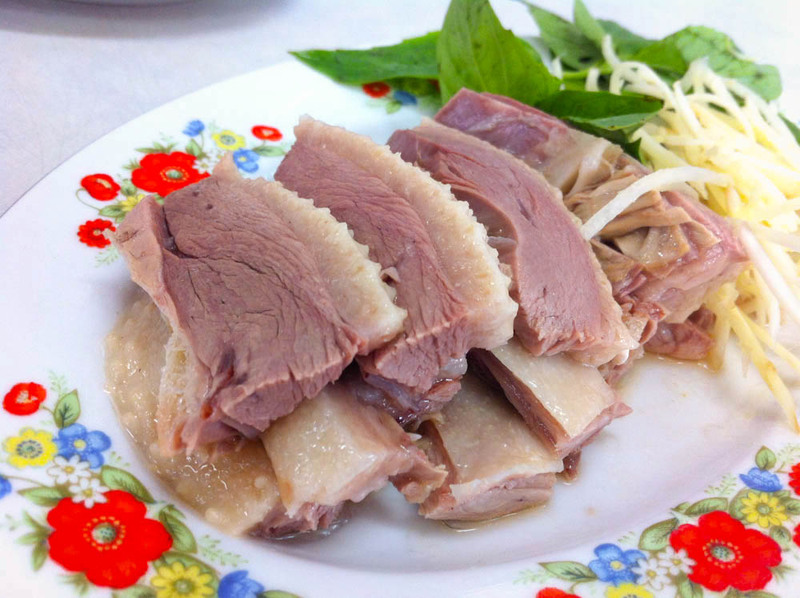 Unfortunately, currently, online registration website is available only in Chinese, but you can also ask tour/travel agent to help you apply for the permit. 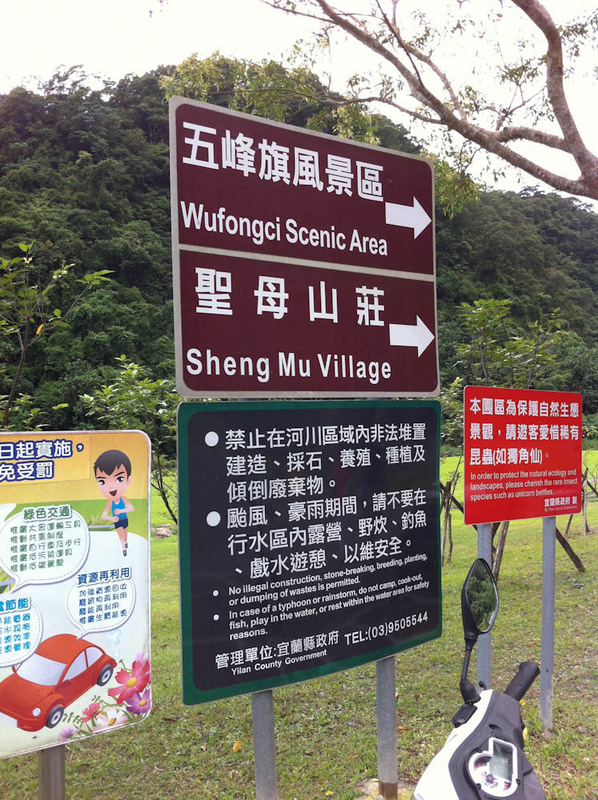 Moving on to the next spot, we arrived in Wufengqi Scenic Area (五峰旗風景區). 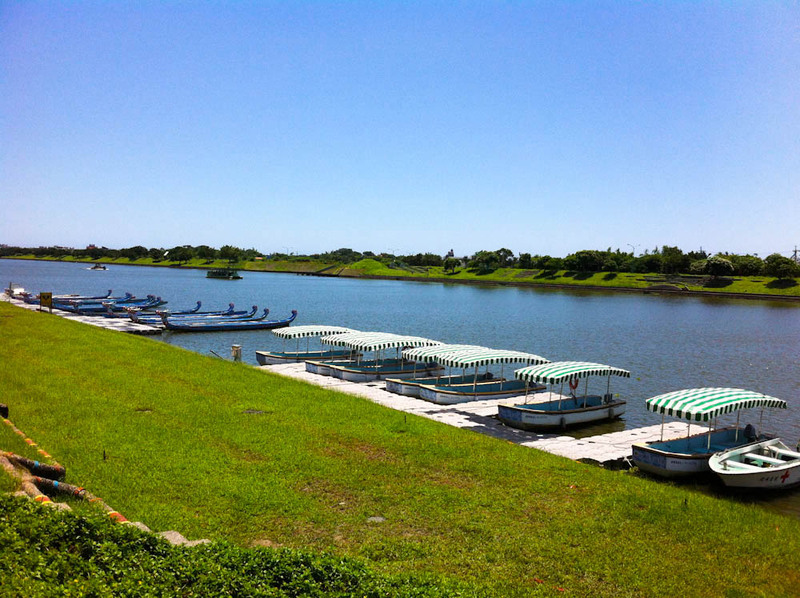 It covers a very large outdoor area including recreational area, camping ground and hiking trails. 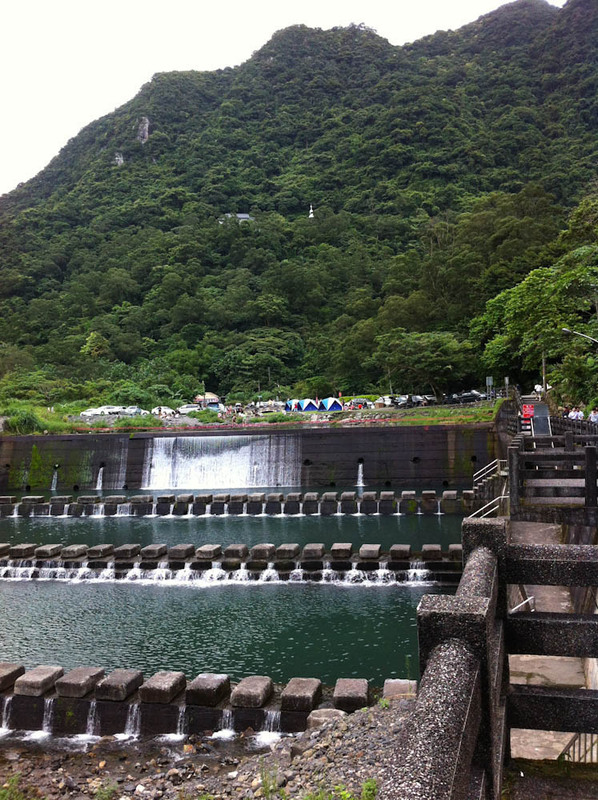 The most popular attraction in here is Wufengqi Waterfalls (there are three of them). 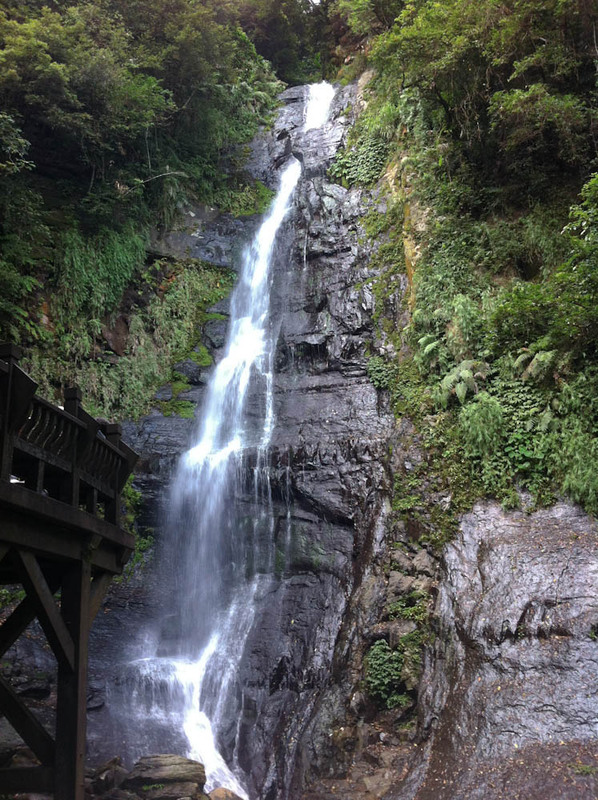 The third waterfall is the tallest and farthest one. However, trail leading to the third one can be closed depending on its condition. Suddenly it was night already and we decided to get back to Luodong. It feels something is missing when you visit a city in Taiwan without taking a look at its night market. 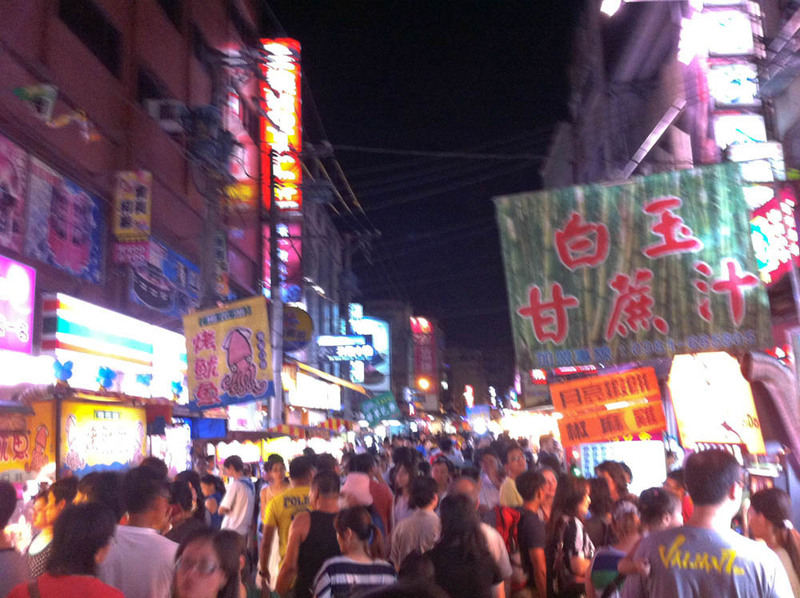 Therefore, we went to Luodong Night Market. 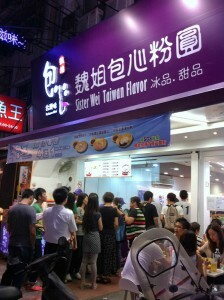 There are three Sister Wei (魏姐包心粉圓) dessert shops in the area. 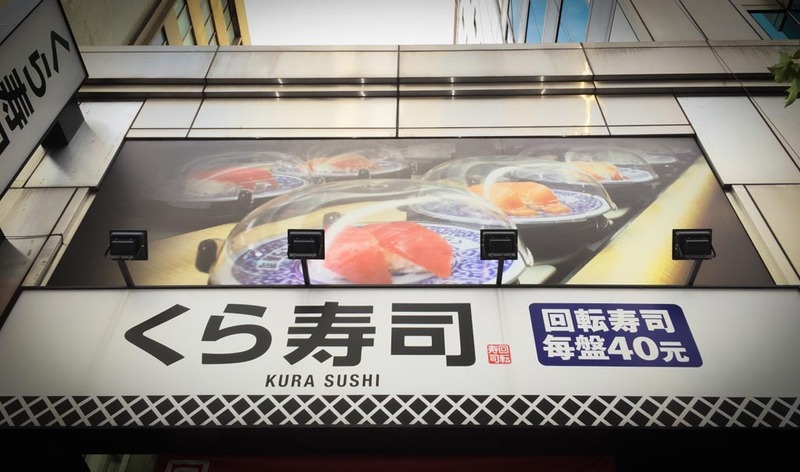 If they can afford to open three stores just within proximity, they must be famous, right? So, we looked for the one that has the shortest queue and grabbed one of the desserts for ourselves. 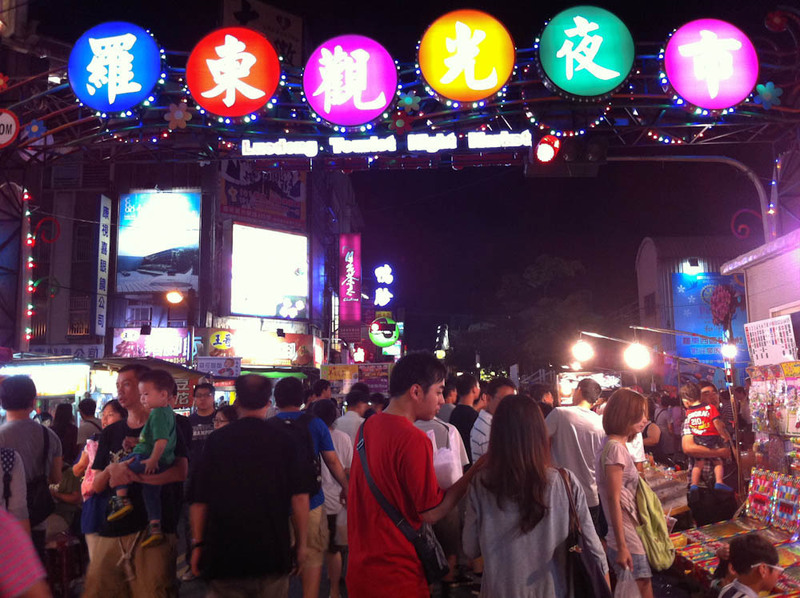 We spent the rest of the day at this night market before we finally got back to our hotel. 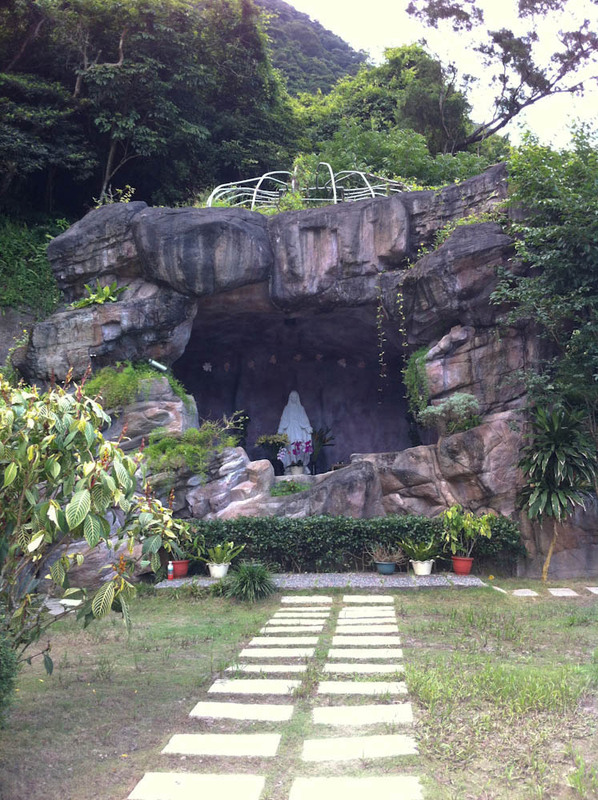 The next day, we visited Dong Shan River Water Park. 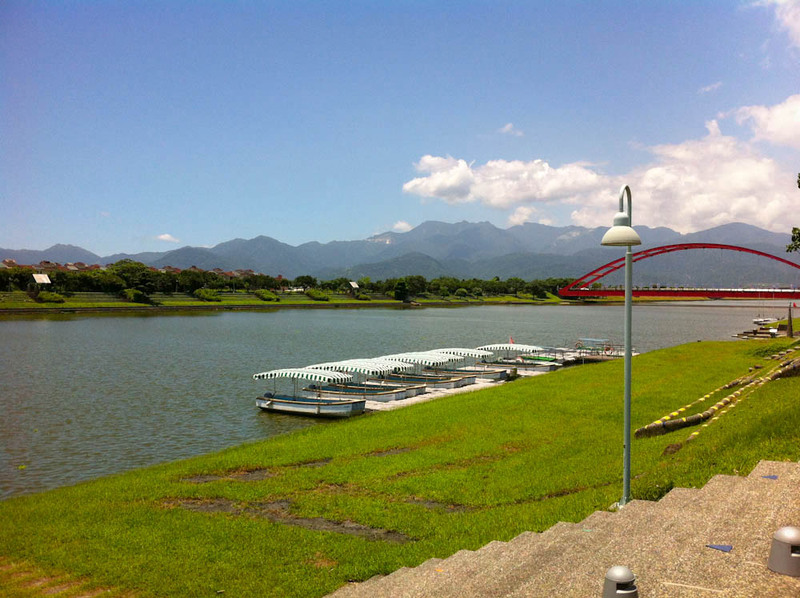 It is a place where you can play water (and swim), take a boat along the river, or just walk/cycle around the park. 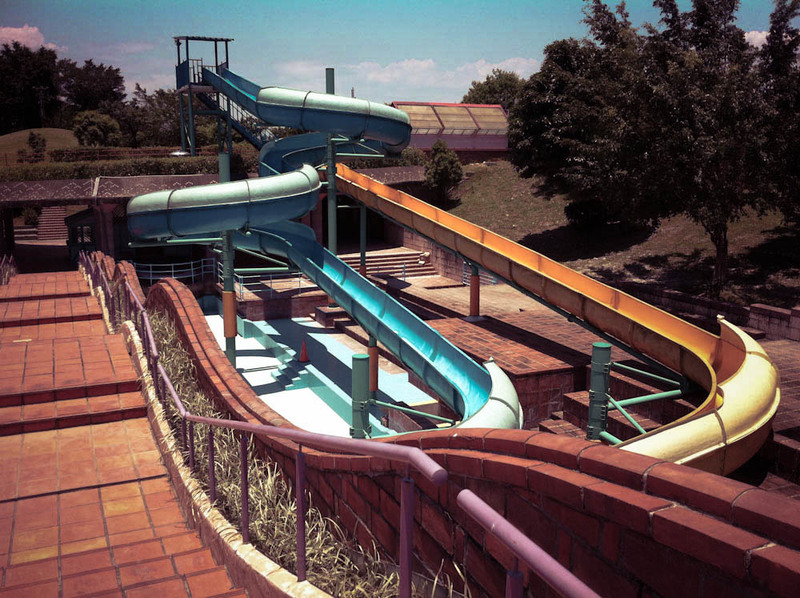 However, when we got there the water park area was closed. We were not really sure why. 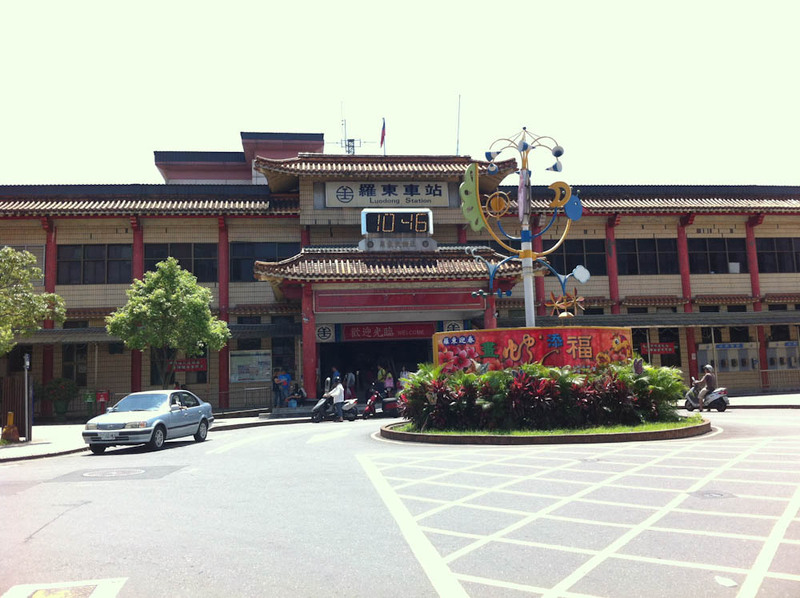 Our final destination was National Center for Traditional Arts (國立傳統藝術中心). 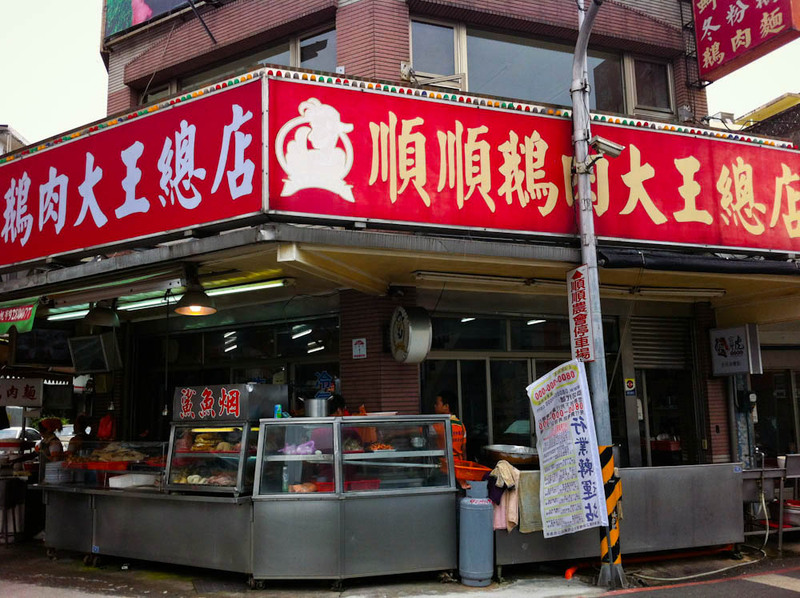 Here, you can walk on Chinese old-street and find Chinese traditional crafts in the shops along the street. 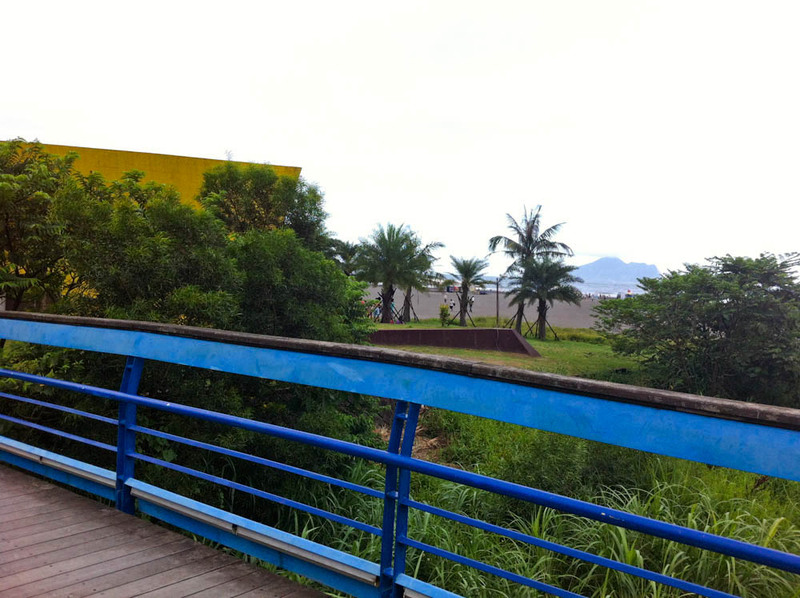 At the end of the street, there is a food court around a pond. 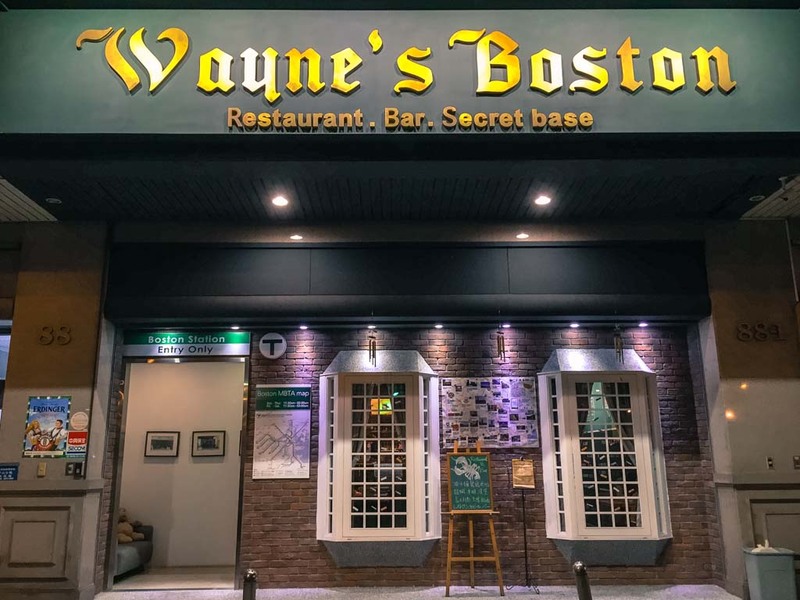 You can eat there while listening to music performance. 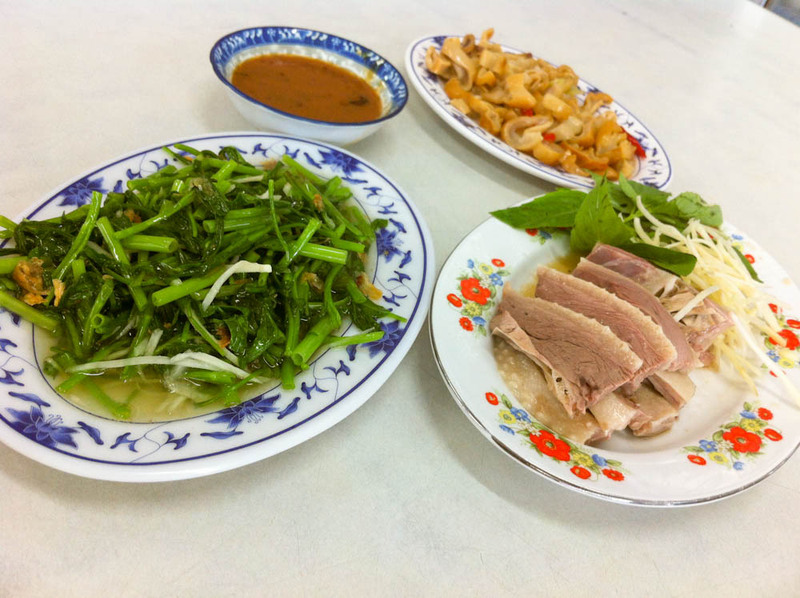 There is also a hotel right beside this cultural center called Forte Dong-Shan Villa. It was time to say good bye and we headed to the Luodong Bus Station to catch our bus back to Taipei.